Did you Find Your Song ? 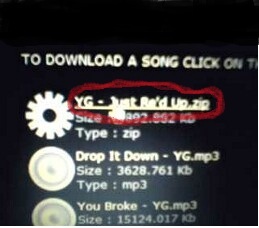 TO DOWNLOAD A SONG CLICK ON THE TITLE OF THE SONG AND IT WILL START THE DOWNLOAD! MORE SONGS FROM YG COMING SOON !